Malware infects thousands of businesses every day. Malware can corrupt files, hold data for ransom, and spy on your computer use. 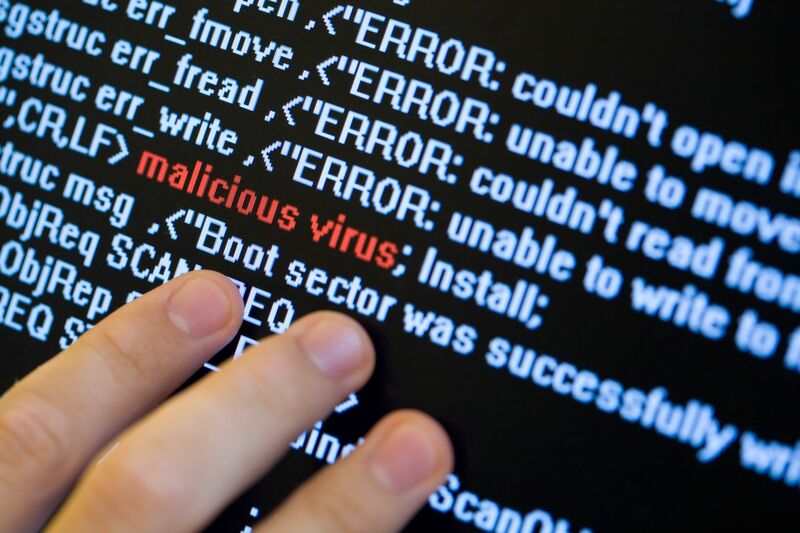 So what is malware and how do we prevent it from causing chaos in your business? Malware is a general term used to describe all types of malicious software. Malware includes trojans, worms, viruses, adware, spyware, ransomware, and more. Each type of malware has a different function. 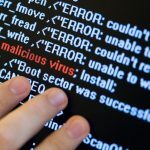 Usually, malware will try to damage your computer or steal information. A Virus is a piece of code or a software program that is capable of copying itself. The code often has a detrimental effect such as corrupting the system or destroying data. Viruses can be even more dangerous if they are able to spread over a network or bypass security systems. A Trojan pretends to be something good to trick users into downloading it. Trojans sometimes pretend to be virus removal programs, or games. In reality, they run malicious programs in the background. Then hackers can steal your files, view your browsing history, or even control your pc. A computer worm is a self-replicating computer program. It uses a network to send copies of itself to other computers and may do so without any user intervention. Unlike a virus, it does not need to attach itself to an existing program. Worms almost always cause harm to the network, even if only by consuming bandwidth. Spyware is computer software that gets installed on a computer without user permission. It collects information about a user without the user’s informed consent. Spyware can collect many various types of personal information. It can also interfere with a users control of the computer. Spyware can install more malware and redirect browser activity. It can also change computer settings, home pages, and cause loss of Internet. Adware is any software that displays ads to a user without permission. Usually seen by the developer as a way to make money. In some cases, it may allow the software to be free of charge or sold at a reduced price. The user may view the ads as interruptions, or annoyances. In extreme circumstances, the ads can be difficult to exit out of and may prevent the user from working. Ransomware is a type of malware that prevents users from accessing their system. Modern ransomware actually encrypts files on the infected systems. Then forces users to pay a ransom through anonymous payment methods to get a decryption key. This is by far the most malicious type of malware. WannaCrypt is one example of a ransomware variant that gained notoriety in May of 2017. A Botnet is a type of malware that spreads across many computer systems. Botnets report back to a central ‘command and control’ server. The creator of the botnet can then use the control server to make the infected systems perform tasks. Botnets are often used for denial of service attacks, spamming, and cracking passwords. First, you should have a physical security device such as a firewall. Firewalls protect every device on your network from attack. Firewalls perform packet analysis on the data coming in and out of your network. This allows them to prevent malware from coming in and can stop malware from spreading. A good security suite will help defeat the majority of threats you face in the wild. Companies like Trend Micro and Malwarebytes have large databases of malware. They offer software to scan your computer systems for infections. If they detect an infection the software will alert you and attempt to remove it. It is important that you keep your computer systems up-to-date. Software vendors often release security patches to fix vulnerabilities. If your software isn’t updated you could expose yourself to hackers and malware. Finally, one of the best preventative steps you can take is to have a secure backup system in place. This way if you get infected you can recover your data and get back to work with minimal downtime or loss. We are all about Education, Knowledge, Trust & Security. Our years of experience in providing IT services in many industries including healthcare, legal, accounting, manufacturing, hospitality, construction & retail have proven to be an invaluable asset in consulting with our clients to make customized recommendations and helping to make the best decisions, technically as well as economically.